I think that above everything else, beyond the history with Christian Death, far away from taking the pencil from my pocket and drawing the fine line between the different, yet consistent music genres of this album and long before applauding for yet another album, it must be said that “The Reflecting Shadow” is first and foremost a really good album. It balances itself between moments when DeMone’s voice, almost completely naked, hovers in the thin, thin air, and moments when deep, heavy angels of sound kindly give her the massive floor from which she can soar above, tiny electronic experiments as her wings, to the sky. 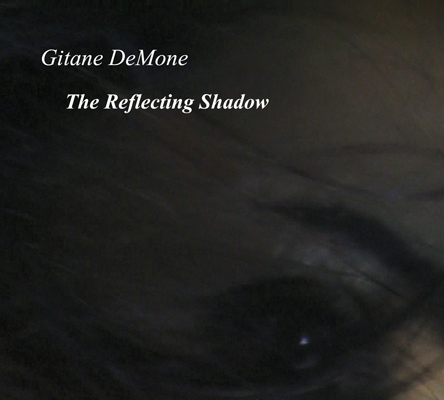 This intimate presentation, bearing the marks of knowledge and experience that can be felt through the orchestrated performance, shows Gitane DeMone’s delicate, even pitiful stories in the grand light of proud majesty. Her penetrating voice, scorching my ears and my mind with brutal honesty, is the song of the siren leading into her shadow dimension. There we can all watch the charming, alluring, worrying and eerie dream princess perform in a show that is not to forget. Before everything else, while I was listening to this album for the first time, what I wanted to write was that this album is really short, I mean – REALLY short. But then I checked again, and it turns out I was sitting for 40 minutes, headphones on, and not realizing that 40 minutes have passed. It is not a short album, it’s a bigger than life performance.